Please note: Aerosols, Paints, Resins & Liquids are all dispatched separately to foams in line with transport rules, regulations & laws. 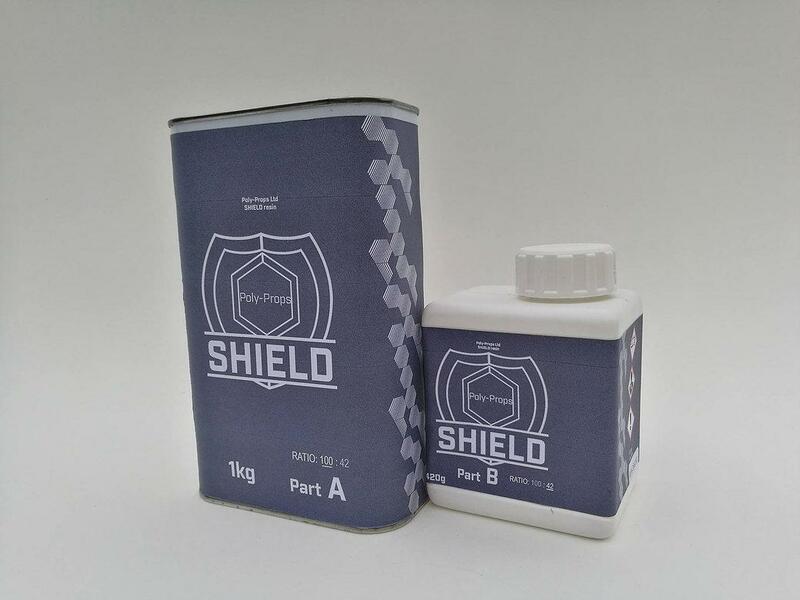 Poly-Props SHIELD is a two part epoxy resin which is can be applied to foam, 3D prints, polystyrene & even wood! The resin cures as hard as a construction helmet with a smooth and glossy finish. After 4 hours: Cures hard. Sand and paint to desired effect or add more layers. PLEASE NOTE: To comply with shipping regulations this product will be shipped separately.